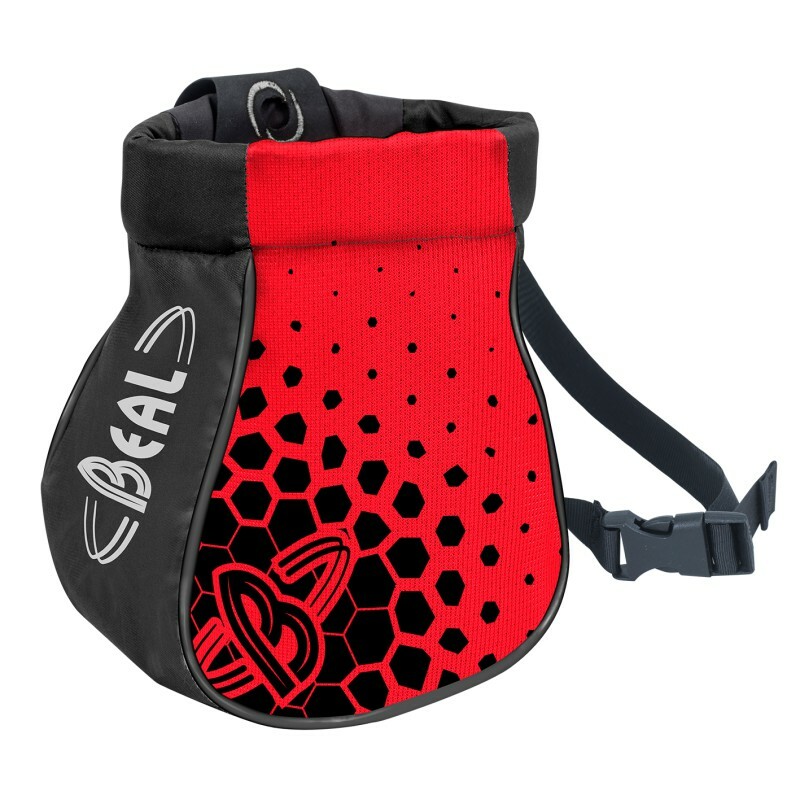 The Cocoon Clic Clac from Beal is a tough corduroy chalk bag adorned with some classic Beal styling. It has a patented Clic Clac opening system, meaning you can snap the bag shut and reopen it with just one hand, eliminating the need for an annoying drawstring. Plus it comes with a belt and toothbrush holder so you can get using straight away. Aside from the terrible color combos, because of its innovative opening/closing mechanism, this is the best chalk bag on the market.